Our weather has been just beautiful this summer and we are grilling up fruits for breakfast. 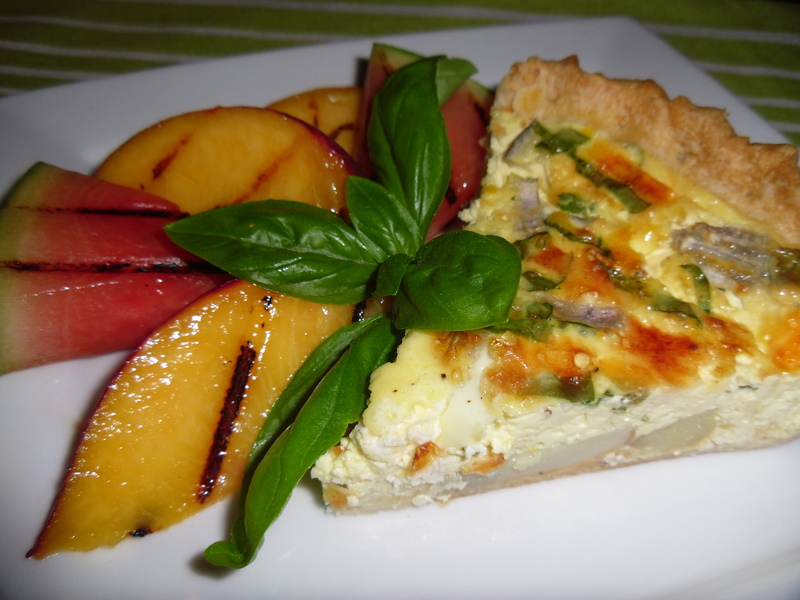 Today we grilled watermelon and peaches to go with our fingerling potato, red onion and fresh spinach quiche. Today was a perfect day to serve breakfast on the deck!